In this article I will show you how to add IOS in GMS3. 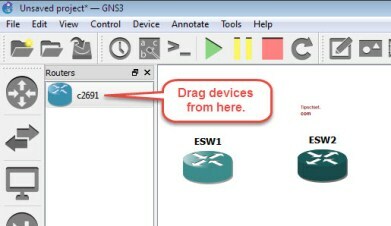 Gns3, a network simulator uses real Cisco IOS. There are some other famous network simulators like packet tracer but these simulators are programing base. Using Gns3 you can use the different network device like routers, switches and firewall in virtual environment with real Cisco IOS image. With newer version of GNS3 you can use juniper router as well. 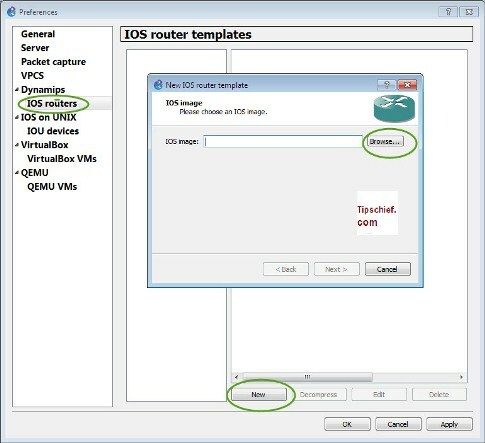 For creating any network lab in gns3 you are required IOS. Following are the recommended IOS for Gns3 which are consider as most stable and reliable for virtual network environment. Download the cisco IOS Image from internet, simply googled it and you find different results. You can download it from you real cisco device via TFTP and run it on GNS3. 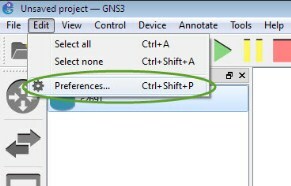 Open the GNS3 and go to edit/preferences. A new console will be open from left side under the Dynamips menu click on IOS router tab click on new. Now it asked you to browse the cisco IOS image. It may asked to compress the image, click on yes. Select the platform or series of your IOS image, normally it pick up automatically but you can also select manually. 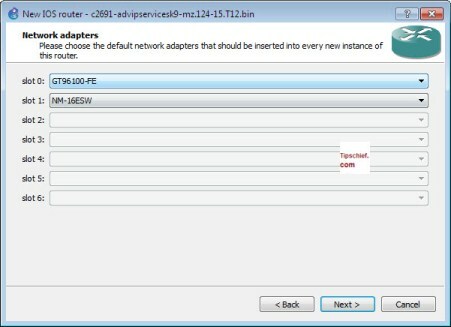 Allocate the RAM for your Cisco device in next step. Set at 256MB for better result. But if you have lower RAM then you can change it accordingly. Select the default interface types, these interfaces will be added to your device automatically when you use this device in GNS3. You can also change the interface in GNS later. One important thing while using adding IOS in gns3 is idle pc value. Click on the idle PC value for select it. You can also change it later. This idle PC value will minimize the CPU usage of your computer. In this way you can use the multiple routers efficiently. I hope this is informative for you and I would like to thank for reading this article.